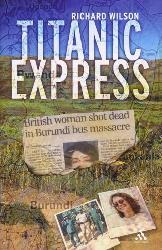 My first book, Titanic Express, focusses on the death of my sister Charlotte in a massacre in Burundi in December 2000. To give some background on my involvement in the recently launched “Stop Funding Hate” campaign, I wanted to share this excerpt (p42). There was a knock on the door around three that afternoon. The tactful and sympathetic man on the doorstep was from the Daily Mail, and he was asking to speak to Mrs. Wilson. He told my mother how sorry he was to intrude at such a difficult time, but he had a letter that he would like to give her. Would she be prepared to look at the letter, have a think about what it said and then give him her answer in around an hour? My mother agreed. The letter from the man from the Mail offered his condolences, and asked if my mother would be willing to give an interview to his newspaper about Charlotte’s life. When he returned an hour later, my mother invited him in, sat him down, and calmly explained why she simply couldn’t do it. She told him that she was an English teacher, and for the last ten years she had been working with people who’d fled from some of the world’s most troubled countries. Iranians and Iraqis, Congolese, Somalis, Bosnians and Kosovans, Turkish Kurds, Eritreans and Ethiopians – even a couple of Burundians had made it into her classroom. All had lost some members of their family – some had lost everyone. Several were still receiving treatment for the torture they had suffered. Those who were allowed to work at all had grinding, menial jobs. Large numbers faced the prospect of being forcibly returned to the warzones they had fled, amid government protestations that these countries were “safe”. She had lost count of the number of times a student had mentioned in class that another loved one back home had been killed. And she had lost count of the number of newspaper articles she had seen portraying refugees as liars, cheats, frauds, “bogus” people. When the stories had first begun, in the mid 1990s, my mother had dismissed them. But then they’d continued, year after year, painting a picture that she just could not recognise of the desperate, traumatised people that she worked with every day. She and her colleagues had begun to wonder if there was something more complicated going on. It hadn’t escaped their attention that so many of these stories were emanating from the Daily Mail, and its sister paper the Evening Standard. My mother had seen the effect of these stories on government policy, and she’d seen the effect of those increasingly harsh policies on her students. She would feel she was betraying them now if she had anything to do with the Daily Mail. The man from the Mail took this so well that I felt quite sorry for him. More than anything, though, I felt proud of my mother. I knew something of the horrors she had heard from her students over the years, and the effect she herself had suffered from being so close to such suffering. I knew how angry she had been about the distortion and duplicity of newspapers like the Daily Mail. And yet, just three days after suffering one of the worst blows of her life, faced with a representative of an organisation that she and most of her colleagues regarded as something close to “hate media”, she’d shown a calmness and dignity that I found quite extraordinary. Hi Richard, I think the campaign is brilliant and already proving effective. I’m not sure how else to contact you, and not sure whether you need volunteers, but I have developed strategy for some of the major campaigns of recent years, Burma, landmines, among others, and would be happy to help if I can. My website is here in case this is of interest John-jackson.com. I have to say you showed the same calmness on newsnight this evening, it is not “idiotic” and I hope you feel proud of yourself in the work you are doing, thank you. 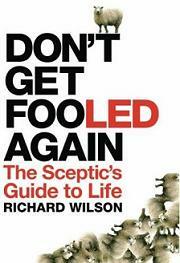 In that case Richard why on Earth did you serialise your book in the Daily Mail for a £1000 fee from the paper? найти надежный, а их сегодня столько появилось… Подскажите нормальный.